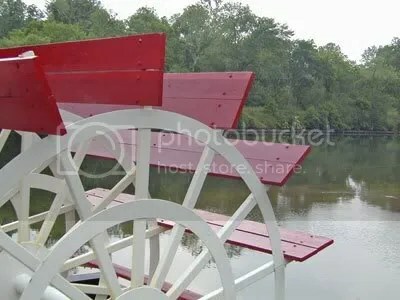 A view of the Rappahannock River in Fredericksburg, Va., through the wheel of a paddleboat. Fredericksburg, about a 45-minute drive south of Washington, D.C., was the boyhood home of George Washington and is rich in Civil War history. You are currently browsing the blog archives for the day Saturday, June 3rd, 2006. "It is all passing! It is past! No, I am here ..."
But does he have a license?